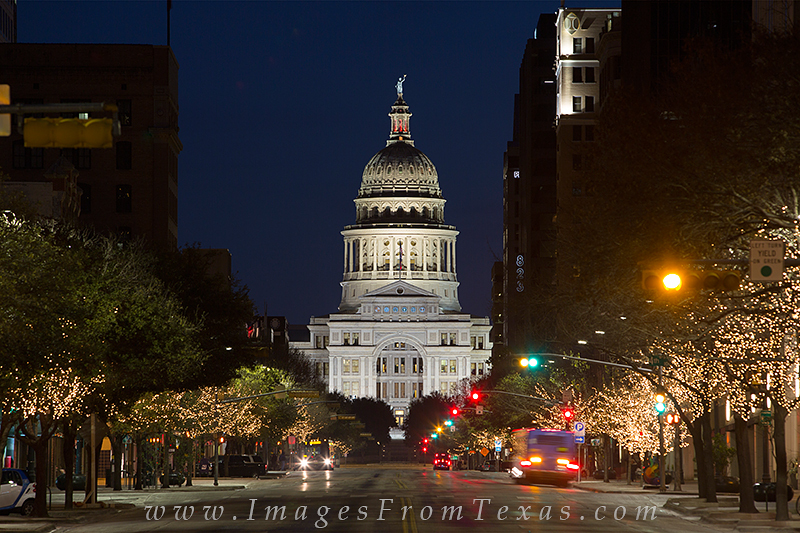 The Texas State Capitol was finished in 1888. Congress Avenue connects the building with the SoCo area just across Lady Bird Lake. This photograph of the building was taken in the early morning hours. The trees along Congress Ave are always lit with lights. Photo © copyright by Rob Greebon.